today i get to talk a little about this book and how julie has made some great patterns sans the borders. and last but not least that i want in my house...is this gorgeous lots of white with beautiful stars. so there you have it the three quilts i'm waiting to show up at my house. 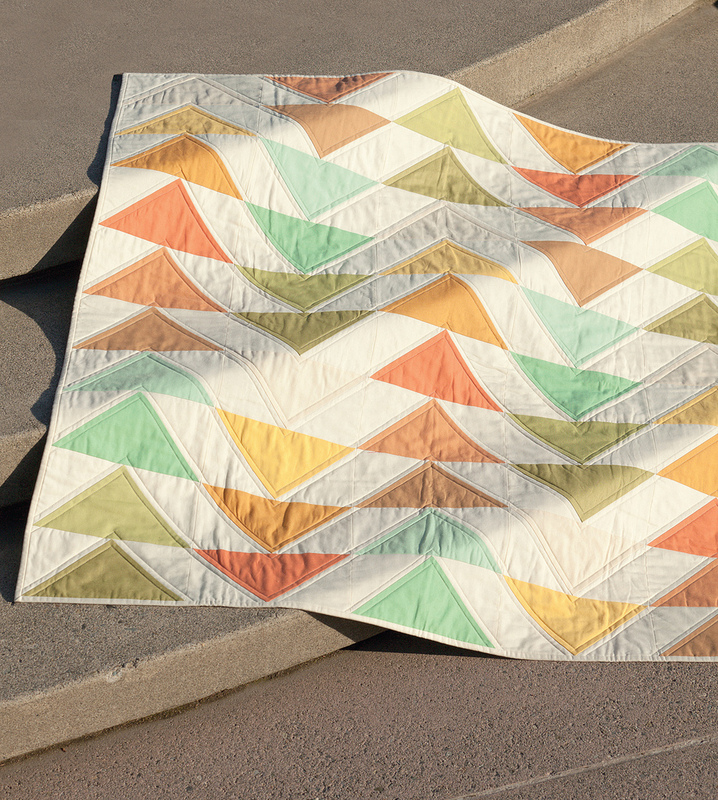 All of the quilts in Skip the Borders are... borderless! Do you skip borders on most of your quilts? actually, i only have like 3 quilts that i've made that do not have borders. for some reason i usually add borders. BUT i'm actually falling in love with the idea of no borders! In the intro to my book I give you Permission to Break the Rules. Do you break some quilting rules? What is the number one rule you break and why? ha! um...i think i always break rules because i kind of experiment to learn so i do things my way, before i ask any questions. so i guess that's breaking rules. sometimes i like my way of doing things, but when i finally get around to learning how others have done things, i like that too. It's no secret that I love binding! In Skip the Borders I included an entire chapter on binding. So the million dollar question, is do you use bias or straight of grain most of the time? STRAIGHT!!!! because i feel like i can get more bang for my buck. 1. Do you skip borders on most of your quilts? 2. 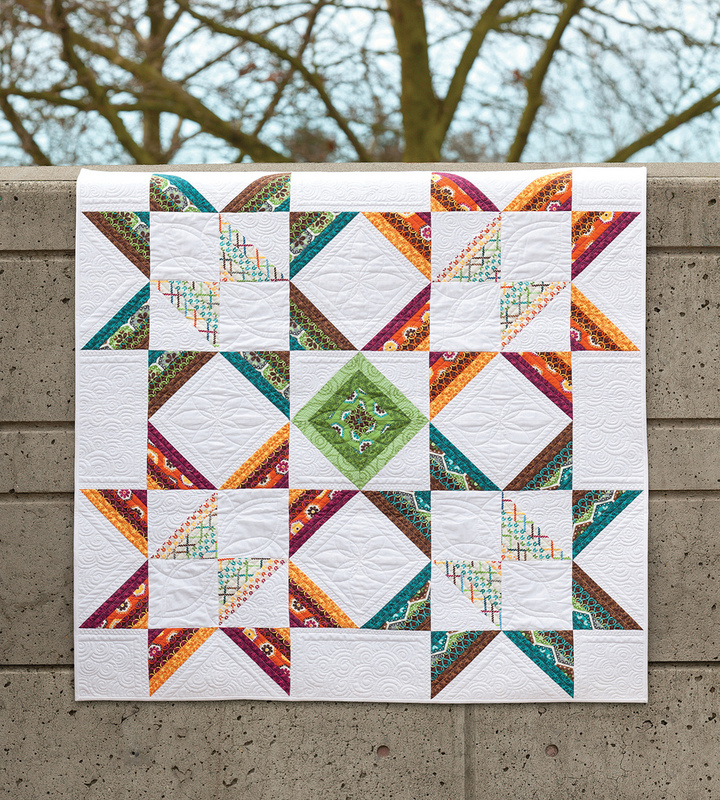 Do you break some quilting rules? 3. Do you use bias or straight of grain most of the time? it gives you one or three chances! if you chose to do more than one chance please answer each question in a separate comment with you contact email at the bottom of each comment. you have till thursday at noon to enter. Sometimes I skip borders. Just depends on the quilt. I always do straight grain bindings. Who has the time with 4 kids to do bias?!?! Can't believe I am the first comments. I often use bias tape straight of the grain, especially when I don't have enough yardage to cut it on the bias. Most of my quilts have borders because I want them to be larger than the original pattern. 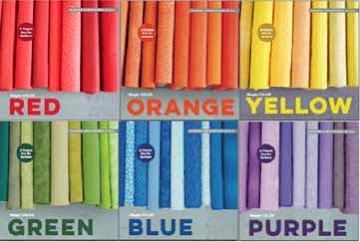 I mostly use straight but on my last quilt I used bias. I feel like it went on so much more smoothly. I will be trying it again. I usually use a border - still trying to get brave enough to be more modern. I don't think I've broken any quilting rules since I don't believe there are any quilting police. I use straight of grain bindings. HI! Yes, sometimes I do skip the borders-depends on the design! I don't quilt, but I would LOVE to learn! I like this modern looking take on the quilt. Yes, i 'break' the rules sometimes too,especially in art quilts or wall hangings! Thanks for sharing! Lately I have been skipping the borders on my quilts. Borders seem almost unnecessary, and the quilt look more modern without them. Hi! I have used bias tape on bindings,but prefer my own fabric bias.On wall hangings or any item that will not see wear I have used bias tape. I am a straight grain binder. Just easier, I guess. I am self taught so I don't know alot of the rules - so I am sure that I "bend" some of the rules. Ok.....I don't like to pin..I said it. Usually I use Straight of Grain binding - it just seems easier and I am usually working with straight sides - I suppose if I make a circle I will have to try bias binding. I use borders. I guess I need some incentive to skip them. Since I don't know all the rules I'm sure I break some. I use straight of grain binding always. 3) have to say both b/c I almost never pay attention to the grain when cutting and/or binding. I just try not to stretch fabric either way and let it be. I just plan to cut the most efficient way I can to get the desired result I want. lately I've been skipping borders more and more. I think it lets the quilts speak for themselves. However some quilts cry out for borders I think. I've only made jean quilts out of old pants so I've never used a border. Rules are meant to be broken aren't they?? Always straight! life's too short! I have skipped the borders on half of my quilts. I am really liking the no border look or at least no wide border look. I skip borders on some of my quilts, but I wouldn't say most of them. Just depends what looks appropriate. I have never used bias binding. Not sure why I would. I do break some quilting rules I'm sure. For one thing, I seldom pin when I'm piecing. I use straight grain binding. I'm not a fan of cutting on the bias because of the stretching and also because then you end up with the odd shaped leftover pieces of fabric. I sometimes do skip borders, specially if I am quilting for charity and I want to be quick quick quick! I usually add a border, but my next quilt is borderless! I'm too new at quilting to break any rules. I don't pre-wash (more of a choice than a rule, I guess), but I also rarely use pins - hate them! I didn't even know you could quilt without a border. But I love the idea and may try it. Sometimes I skip the borders, sometimes I don't. I just depends on what I am doing! I am usually a rule follower....how boring is that?! I don't skip the borders. I am a straight binding kind of girl! I break the rules. I don't pre wash my fabric. I use straight grain binding most of the time. I mostly use straigh grain for binding. As far as breaking the rules, I don't prewash, and I don't always press my seams the way that is suggested. I have only made one quilt so far, and it had a border. I haven't made many quilts yet, but the ones that I have do have borders! I'd love to try some of Julie's great designs without borders! I use straight of grain. I usually put borders on my quilts. I use straight edge binding, have made quilt with no borders. I never wash my fabric. Thanks for the giveaway! Love straight grain binding, like you. Thanks fr the wonderful chance! Lately, I've been skipping borders but depending on good binding fabric to add some zing to the edges. Thanks for the giveaway. I do feel like I break the rules. I just like to do what I want not so much doing the process that everyone expects. Thanks for the giveaway. Straight, and I can't tell you how happy I have been to see that almost all the bloggers who have answered this question on Julie's tour have also answered straight. Here I worried that I was making inferior products than everyone else. Sounds like others are more budget minded like me. 1. No pretty much use borders. I guess it probably is just the way I taught myself or just a habit I guess you could say. Skip boarders every chance i get. 3. I've only used bias binding one time on a practice table mat. I prefer straight of grain. I am sure I have broke some quilting rules but can't think of any right off hand. Most of my quilts have borders on them. 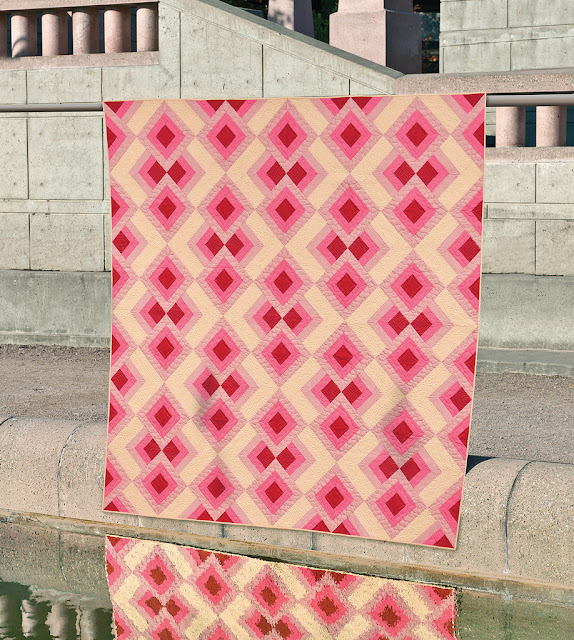 It would be interesting to see how Julie designs her quilts without borders though. I have to say that I mostly adhere to the "quilting rules". However, I have been known to cheat every once in a while. For instance, sometimes I combine straight of grain and bias binding in one piece. Whatever is easiest for me! Most of the time I use bias binding. I prefer it over straight grain binding. I like the look of striped bias binding too. I've only made a handful of quilts and they've each had a border of sorts... my favorite quilt that I've made only had pseudo borders at the top and bottom, just to get it to the size I wanted. I do love these borderless patterns, though! Of the 6 quilts I've made I've wrapped the backing fabric around as the binding on 3 of them, had someone else bind 2 of them, and did satin blanket binding on the other... is that straight or bias? I have no idea... I like the idea of doing a binding now that I'm getting more confident in my abilities! I do occasionally skip borders but normally I like including them to finish off the look of my quilt. I skip borders now - my first two I didn't, but all subsequent ones I have. I don't know what the rules are, which is obvious at this point in my creative quilt top making ventures. borders? sometimes yes, sometimes no depends on design, size, etc. I've only made two quilt tops....one has borders and one doesn't. Guess I'm 50/50 right now! I have done a couple of quilts skipping the borders.I do love the look with no borders. I would say I am more apt to follow the rules but have been known to break them like not washing my fabrics. I have never did a quilt with a bias binding only a couple of runners.I make my binding from the straight of grain. Yes I skip the borders on my quilts most of the time! I try not to break the rules... but last night I realized I had sewn the binding on my quilt on the back of the quilt, so on this one the front is hand stitched. I really liked the way it turned out! I have used straight grain with every quilt I have done so far. So far all my quilts have been borderless! I'm still learning and break the rules all the time. I actually have a quilt on my to do list that I plan on sewing "the right way", if there is such a thing. So far, stagings grain. I do want to learn how to do a bias binding though. I usually use borders? sometimes I need a little extra width or length. Thanks for a great giveaway. I try not to break the rules, but sometimes I think I know more than the experienced Quilter's. I use straight of grain . I'm a rule breaker, heart breaker.... haha! :) Sometimes, it makes more sense to do it a little differently. Totally okay in my book. Yes, I skip borders, almost always! I use both straight grain and on the bias, just depends. Yes, I break a lot of rules. 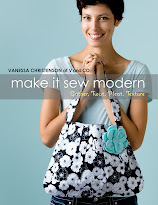 Sew over pins, etc. Oh, my, do I break rules. I use bias binding exclusively. One rule I don't break! I don't cut on the bias either. I love that people are answering this question because we have talked about it in our guild and most of them don't either so I think that rule obviously needs to be re-written. Almost always skip the borders -- thanks! I'm a newbie, so I've only cut one binding and it was straight grain. I didn't know any better at the time! I'm only on my second quilt. First one had no borders, the second one will. The third is in planning stages and won't! I probably break some rules, since I'm still learning them. I've only used straight grain so far. Bias seems unnecessarily complicated. I only use straight grain.. I'll use a border if the quilt needs it--say, to balance out the sashing. Otherwise, I prefer the borderless look. I mostly use straight grain binding, but if the border is curvy, I'll use bias binding. I always use straight grain binding as well. Saves time and fabric! Julie's quilts are so gorgeous! I have a few quilts that have borders and several tops that I have not decided on. So much inspiration in the book and I'm loving the borderless look. Thank you for a super giveaway and the chance to win. I think it's an old rule but I don't prewash alot of my fabric. I was prewashing and someone pointed out to me that when I sew with kits, that fabric is not washed. Yeah, huh? So, depending on what I'm making, for the most part, no prewashing. Thank you for a great giveaway and all the chances to win. I started out using bias binding as that is the way I learned in the beginning. Not sure when but I started using straight of grain. I think it as Julie that I heard it from, that bias binding is stronger since the fibers have more stretch, which makes sense. So now depending on who the quilt is for is how I decide which binding method I use. Thanks again for an awesome giveaway and all the chances to win a super book. Sometimes I skip the borders. Actually, I'd prefer it that way. ;) I don't really break too many quilting rules, though I'm not sure of all of the rules of quilting since I am a novice, and I use straight grain. I kind of like borders, guess that answers the question! I follow most rules, except for prewashing and not sewing over pins. I generally have borders but would love to try a quilt without them. I do straight of grain binding. Thanks for the chance to win a great looking book. 1. Do you skip borders on most of your quilts? I skip the border very rarely. I like my quilts to have a "frame." Also, they are great for making the quilt bigger! I use straight grain for all straight edges, bias for curved. 2. Do you break some quilting rules? I rarely pin anymore. I snip my thread ends on the top of the quilt. I don't bury them. I break LOTS of quilting rules! :-) I don't usually prewash. I have used sheets for backing.. I have used an old blanket for batting.. I'm a rebel, for sure! ;-) Thank you for the chance to win!! I don't ususally skip the borders. But these are really cute quilts! Do I break quilting rules? Yes, I don't always pin. I always use straight binding. Bias takes more fabric. The only time I do bias is if I want a certain look created by cutting on bias or for curves. Staight of grain is the best for most uses! I usually add a border but I do want to try to skip the next one. I love that pink/red quilt too! I don't know all the rules so I probably break a lot of them. Oops! I do skip the borders most of the time. The rules are "there ain't no rules". What movie is that from?? I am a border skipper!! I heard a rule that you aren't supposed to cross lines, so I guess I break that one. I use both, though I read bias is more sturdy, so I think I'll go that route from now on. I usually add borders, I don't break the rules, and I use straight grain binding. Thanks so much. I usually skip the borders. I use straight of grain binding. I hate to waste fabric. I sometimes skip the borders. Thanks for the chance to win this fun book. I prefer bias for my binding. I always break the rules. Counted cross stitch used to be so hard for me because I even changed all the colors recommened...I struggle with rules. I skip the border on most of my quilts. I prefer to use straight of grain binding. I've only tried bias once....kind of a pain. I've only started making one quilt, and I didn't get as far as the borders yet lol. I think on this quilt I probably skipped over all the rules. I just kinda started throwing it together. Since I've "gone modern," in the past two years, I've switched to no borders... unless I need more negative space for floating the design and in which to do more quilting. 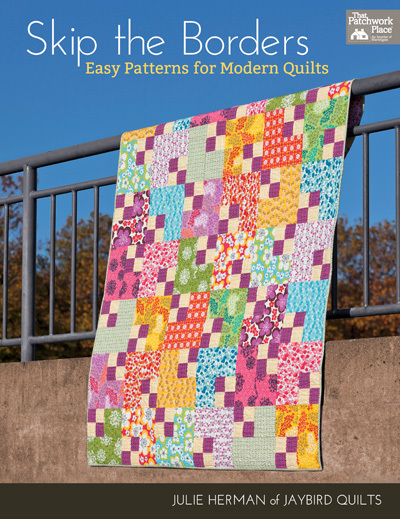 I don't often break quilting rules, but that's because I've been quilting for so long - 30 years! - that it's difficult to change. But I'm trying! I use straight of grain most of the time. But I'm comfortable sewing on the bias to make half-square triangles, stems for applique, and binding when I want stripes to show in a barber pole design. Thanks for raising these interesting questions! I bet you get a great variety of responses. I don't usually skip the borders, but now I'm considering that as a cute option! I am very obedient, and I never knowingly break the rules.